What is coin-op? Who are the players and who does what in the industry? 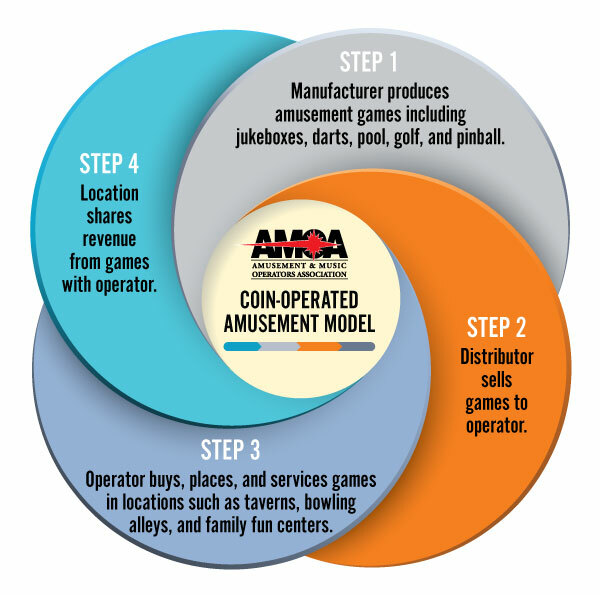 A picture tells a thousand words…and while there are several variations to coin-op’s product distribution and revenue sharing structure, this is basically how the pieces fit together.